This vile and villainous match-up is going to go down as the biggest in all the fairy tale books, and you get to choose who to be! In this corner we have the scariest, second most beautiful in the land, old-hag transforming, apple poisoning, diabolically devilish Wicked Queen from Snow White and the Seven Dwarfs! 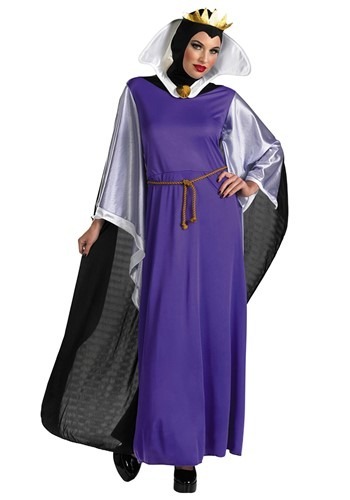 She may be an oldie but she's a goodie, with one KO on her record and countless hours of training, you will certainly have the upper hand while wearing this Disney womens Wicked Queen Costume! Odds are Snow White will do a whole lot of fancy prancing footwork, but we all know the stepmother will reign supreme as world champion of wickedness!